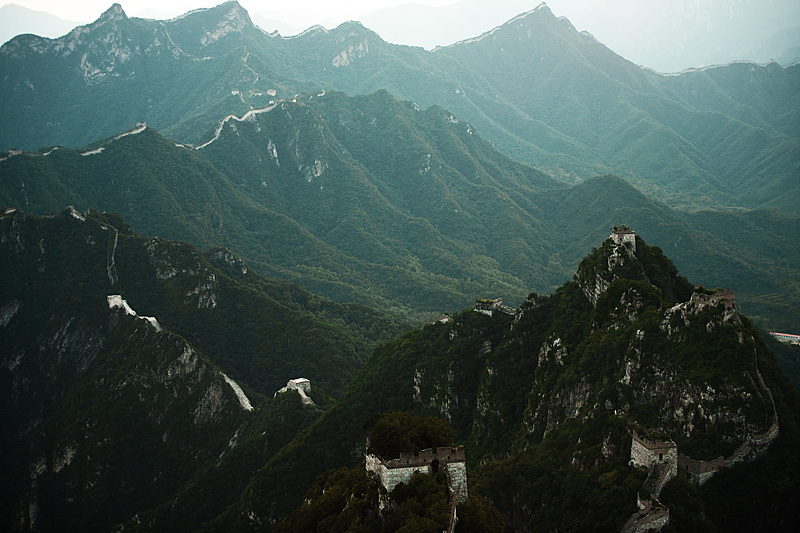 An "off-limits", crumbling section of the Great Wall of China called Jiankou, known for its breathtaking panoramic views and sheer cliffs topped by a winding section of the wall. The adventurous can choose a tower and camp out for the night to watch the sunrise. There are no stores so bring all your own supplies and plenty of water.